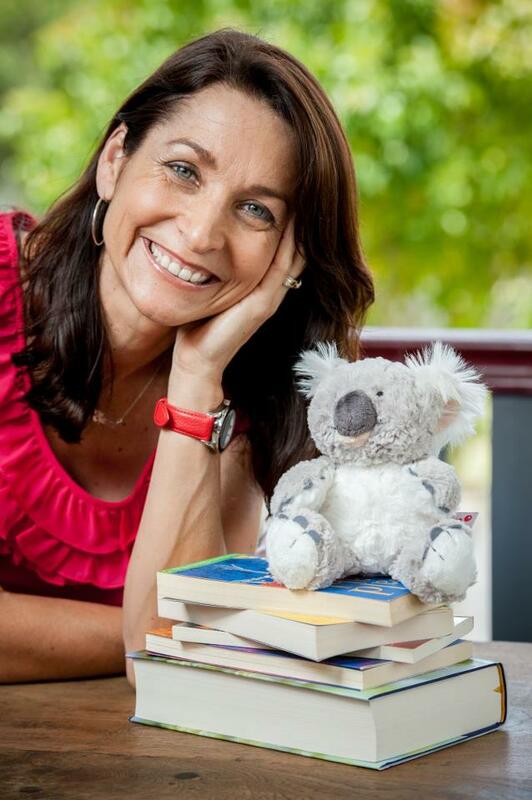 On a recent weekend getaway to Stanthorpe, I met the type of people I’d forgotten existed. People not afraid to get their hands dirty. People who’d decided to reconnect. Whether that meant making jams or building stone walls, baking the most delicious apple pies or making beautiful candles or soaps, these people were connected. Connected to nature. Connected to themselves. Connected to each other. That’s what connected them to me. Driving around Stanthorpe reminded me of Sunday drives as a kid. We’d stop to pick strawberries, apples, peaches and plums, far more than we could eat, but we’d have so much fun we couldn’t limit ourselves to just a few bags. And who could resist a few stolen bites along the way? In the South of France a few years ago, we just had to stop in the cherry fields to munch on fresh cherries straight from the tree. Fruit full of sunshine. Same again in Stanthorpe. 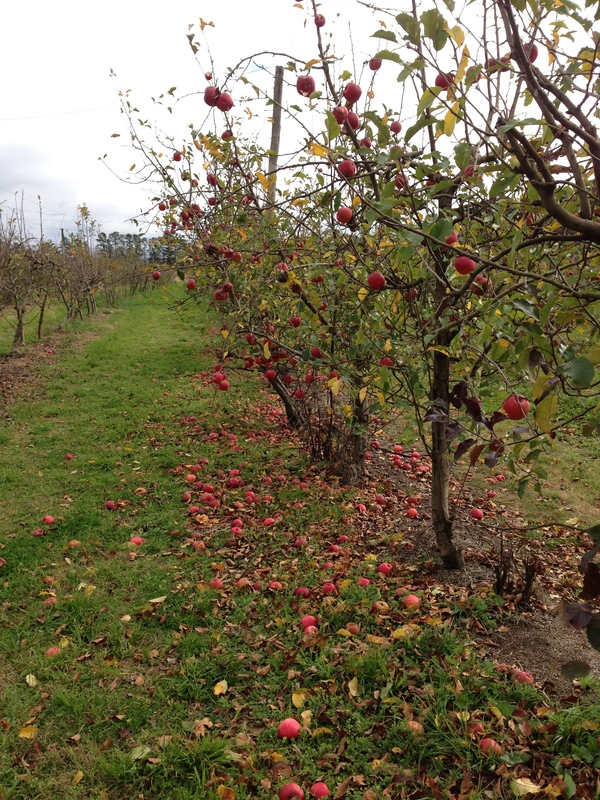 At Sutton’s Apple farm, we picked apples, many of them knobbly and bruised, but fresh, as nature intended. 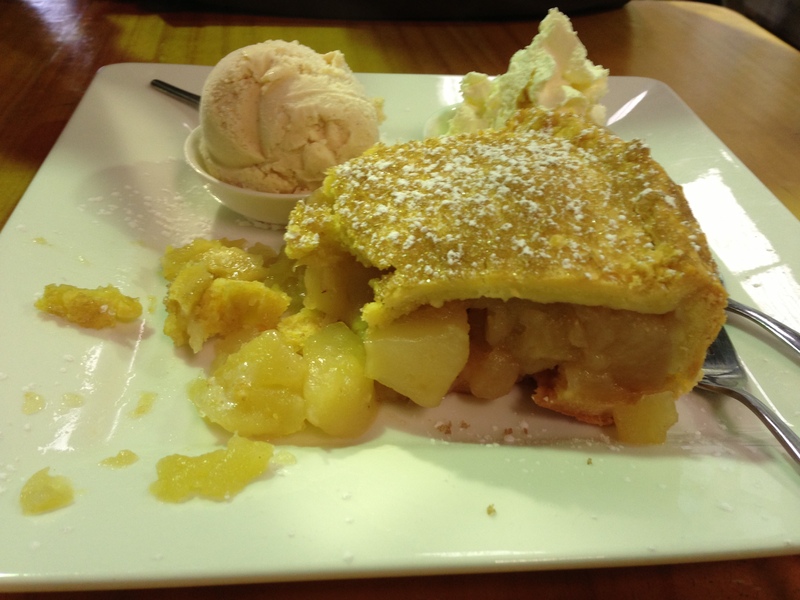 Delicious home made apple pie from Sutton’s. I wonder if part of our modern malaise doesn’t come from feeling disconnected. These days we rush into Woolies, Coles or Aldi – time poor as we are – and grab up our pre-packaged food with no real connection to where it came from. We watch cooking and gardening programs without ever really getting the dirt between our own toes. The pleasure of connecting with nature doesn’t diminish in adulthood. 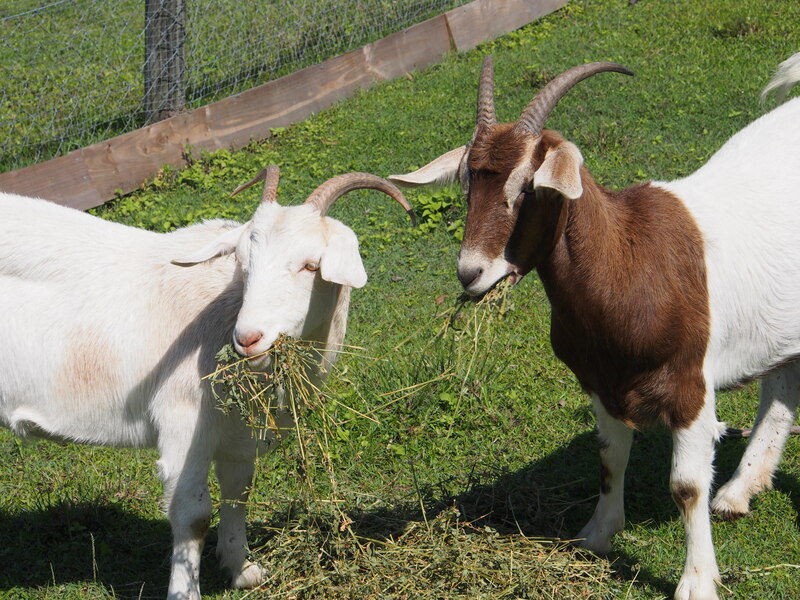 Alfie and Felix: the goats. Everyone has a different way of feeling connected. A girlfriend, feeling blue after a move interstate, cheered herself by making juice from fresh oranges picked from a backyard tree. 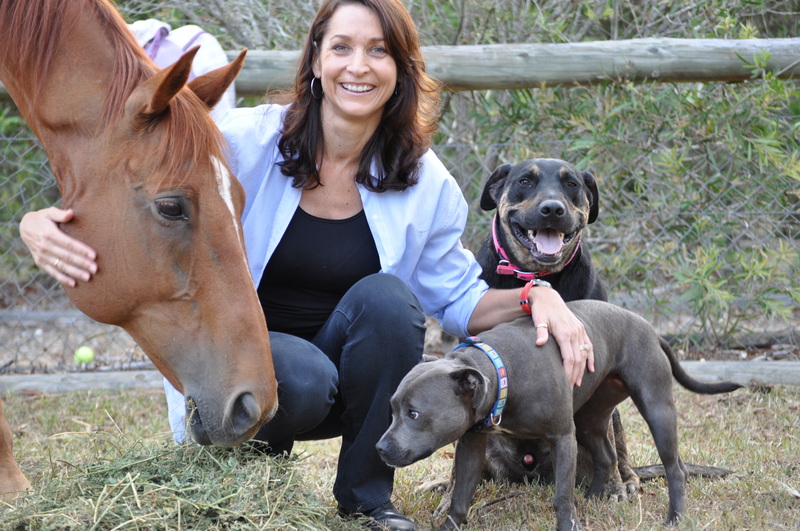 Walking dogs, riding horses, spending time outdoors all appeal to me. My menagerie helps me connect. It’s hard not to smile hanging out with gentle goats or clucking chooks. Dirt. Fresh air. Nature. That’s what makes me feel connected. We all need a way to stay in touch with Mother Nature. Whether that’s growing parsley in a pot on the front deck, or wading through puddles in the park, it’s important to stay connected. Posted in Life and tagged Apples, Connection, Horses, Nature, Stanthorpe, Tobin, Tobin Wines. Bookmark the permalink.